In 2018, BGHS was the third-highest high school feeder to California State University, Fullerton. With the increasing competitiveness of the admissions process for four-year universities and many of our students/families concerned about paying for college, our team is continuing to reflect on ways to provide even more assistance in finding financial resources (e.g. FAFSA, Dream Act, grants, scholarships). According to the 2018 senior exit survey, 70% of our students were awarded financial aid. Additionally, based upon the most recent National Clearinghouse Data, it was reported that students from BGHS who enrolled directly into college remained in college two years later for a persistence rate of 90%. According to our Class of 2018 senior exit survey, students reported, “My high school exposed me to college-level material. My high school also guided me through the application and financial aid process, giving me the support I needed so I don’t fall through the cracks.” Another student stated, “My high school has prepared me for success by surrounding me with individuals that strive to learn. Throughout my high school career, I have met a multitude of many different individuals that are all striving for success, which pushes me to be more successful. I have also met a large variety of teachers, some of which have pushed me to heights that I did not even imagine were possible for somebody as average as I am.” Based upon the anecdotal feedback we have received over the years, it is apparent there is a college-going culture that has permeated the hallways of BGHS. 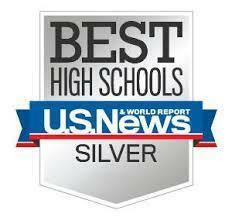 Bolsa Grande High School has been consistently and repeatedly ranked as one of the nation’s best high schools. The U.S. World News Best High Schools ranks the nations’ high schools using rigorous criteria, and the rankings in no small part focus on how well schools are preparing students for overall college readiness. The “Eligibility Criteria” as determined by The U.S. World News are based on the following four steps: Step 1: Overall performance of students on state tests. Step 2: Identify high schools that performed at or better than the state average for their historically underserved students. Step 3: Identify schools that have surpassed a basic standard for high school graduation rates. Step 4: Performance on college-level AP and IB exams to determine national gold, silver and bronze medal winners. Of the approximately 20,5000 schools in the nation, only 2% are ranked as gold; only 11% are ranked as silver. Six consecutive Saturdays each fall and spring semesters, Bolsa Grande High School (BGHS) students travel to the University of California, Irvine (UCI) Saturday Academy of Law (SAL) to discover their First Amendment rights emphasizing Freedom of Speech. 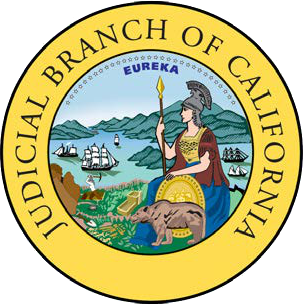 The program is taught by high school credentialed teachers, UCI law students, lawyers, and County Superior Court Justices. The program is to provide underrepresented high school students an opportunity to improve their reading, writing, and critical thinking skills in a law school setting with the hope that they will return to serve their communities. Every lesson includes discussions regarding the application of the first amendment to local/national events as well as hypothetical scenarios. For example, using legal situations the introductory lesson engages students in a debate over intent and interpretation of a local city council law. Students have to evaluate whether a given scenario violates the intent of local law. Saturday Academy of Law (SAL) aligns with the GGUSD LCAP and the BGHS Single Plan for Student Achievement. The LCAP categorizes the eight state priorities into three major goals, which include academic skills, personal skills, and lifelong success. This class (SAL), as part of the Social Science Department Active Citizen Program, enables students to apply academic skills with an emphasis on conditions of learning (i.e. LCAP Priorities 1, 2, 7) and pupil outcomes (LCAP Priority 4). SAL personnel is funded through the SPSA with an emphasis on meeting the needs of targeted populations. Bolsa’s unduplicated pupil count (i.e. free/reduced, English Learners, Foster Youth) is approximately 78.5%. Additionally, SAL was developed in order to engage diverse students in a broad course of study (LCAP Priority 7) in U.S. law (Proven Practice #6) and cultivate a pipeline of law candidates who will return to support underrepresented communities. 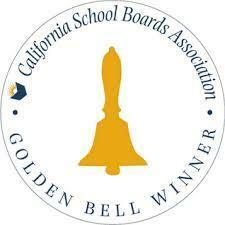 From the CDE: California GR Schools Award - A program which honors some of California's outstanding public schools. Schools that are selected demonstrate exemplary achievements in implementing state standards in priority areas. California schools that made tremendous gains in implementing SBE policies and their Local Control Accountability Plan (LCAP) were invited to apply for the California GR Schools Award https://www.cde.ca.gov/ta/sr/gr/index.asp. 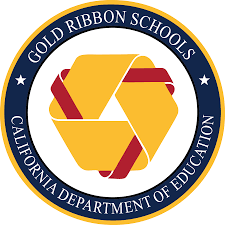 Bolsa Grande was awarded the prestigious California Gold Ribbon School Award in 2015. One significant factor leading to the recognition was the creation of a model program tied to the district LCAP. It is through the success of this model program, Senior College Focus, which includes the elements of tracking, support, and accountability that has led it to be expanded to the other high schools in the district. This expansion was initiated by our district level counseling team and specific elements of the program were replicated across the district. Additionally, in 2011, A-G rate for BGHS has increased from 38% in 2009 to 55%. Senior College Focus was designed to specifically address the disconnect between students’ A-G rates and the disproportionate number of students not accepted to a four-year college. Now, two years later, this program has had a significant impact on BGHS students, changing the culture of the school. By the end of 2013, the percentage of students who met their A-G requirements had increased to 66.8% from 57.1% in 2012. That same year, 95% of the students who had met the A-G requirements had applied to a four-year college and 68% of those students were accepted. With refinements in the process, today, in 2014, 96% of program eligible seniors had applied with 77% accepted to a four-year college. 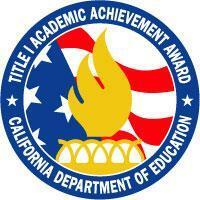 From the CDE: The Title I Academic Achievement Award is given to schools receiving federal Title I funds as authorized by the Elementary and Secondary Education Act. Title I, the single largest federal educational program for K-12 public education, assists schools in meeting the educational needs of students living at or below the poverty line. Of the approximately 10,000 schools in California, more than 6,000 of them participate in the Title I program. Bolsa Grande High School is dedicated to ensuring that all students thrive. Title I is a federally funded program connected to the “No Child Left Behind Act of 2002.” The goal of Title 1 is to provide services that will help socioeconomically disadvantaged students succeed in the core curriculum, attain grade-level proficiency, and improve their basic and advanced skills. Services to students include intervention courses, after-school tutoring, mentoring, and providing student planners with supplemental and instructional materials. BGHS continues to help all students make significant progress toward proficiency on California’s academic content standards as well as continue with progress toward achievement targets.